I've been shopping in Mac for years. It was the first high end foundation I ever bought and I got into the lipsticks pretty quickly after that. I'll always have a special place in my heart for Studio Fix foundation, but like all brands, Mac isn't the be all and end all of high end cosmetics. 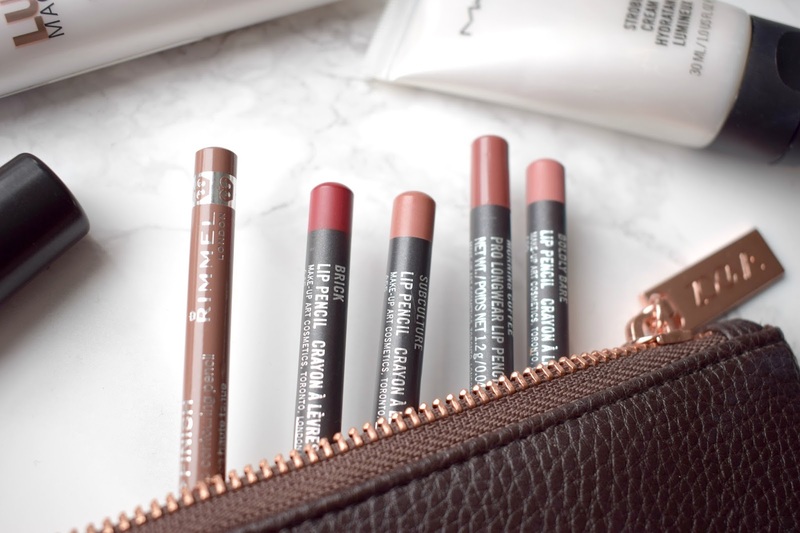 I've spent a bit of time putting together some dupes and other options for Mac if you love the brand but just aren't sure if you want to spend £20 on a powder or £12.50 on a lip liner every time you fancy a treat. STROBE CREAM: The strobe cream is a popular 'must have' for beauty gurus and make-up artists. It's a moisturiser that can be used as a base for make-up and also for highlighting under or over foundation. It gives a healthy glow to the skin and contains lots of great ingredients too, such as plant extracts. It's £24.50 for 50ML or the travel size version is £10 for 30ml, so the travel size works out a lot cheaper and is better value for money. I love this and would recommend anyone to splurge on this, as it gives such a gorgeous glow to the skin. However it's not a primer: I recommend L'oreal's Lumi Magique Primer for that if you want a glowy base that's also primed. However, that is actually more expensive than the strobe cream at £12 for 20ML. One upside to the L'oreal primer being in the drugstore is that there are often deals on; the other day I picked up True Match and the Lumi Magique for £12, essentially BOGOF! LIP LINERS: I will always love Mac's lip liners for the choice of colours, but I feel disappointed that they aren't easier to glide onto the lips. 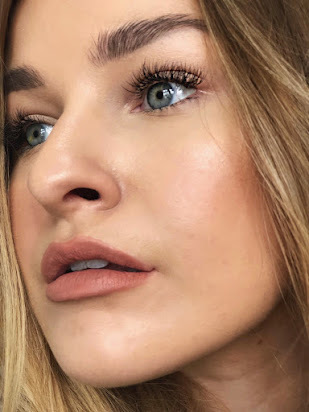 I like to use lip liners for an all over colour sometimes and not just lining, and they can feel quite 'hard' and I find it easier to use my Topshop or Rimmel liners for an all over colour. I have also got a couple of Pro Longwear lip liners which are £15 as opposed to £12.50 and I couldn't see any difference except the fact that they were easier to glide onto the lips, which I loved. I wouldn't say anyone needs to splurge on Mac's lip liners in order to have a good make-up collection in my opinion. Save! Rimmel do some great colours and some dupes for Mac's popular colour Spice. LIPSTICK: I'll keep this part short as I am a die hard fan of Mac's lipsticks. They are truly my favourite and I have a little collection started up. I find them to be long lasting and a great formula. At £15.50, they're not too expensive like YSL or Tom Ford and the actual lipstick itself lasts for a long time too. I would definitely splurge on these as they're a great asset to any make-up collection and I haven't found a cheaper lipstick that gives the same finish or longevity. POWDERS: Mac powders are average. They're expensive and don't give a flawless finish. I prefer my Topshop bronzer to Mac's brozer selection and there isn't a shade that can be used for contouring either. My cheaper alternatives I love to use are Rimmel's Stay Matte Pressed Powder, Too Faced Chocolate Bronzer and Topshop Bronzer in Sandcastle. Save your money and give the drugstore a go for your powders. I've also written about a dupe for the FIX+ spray by Mac if you want to give that a read here. 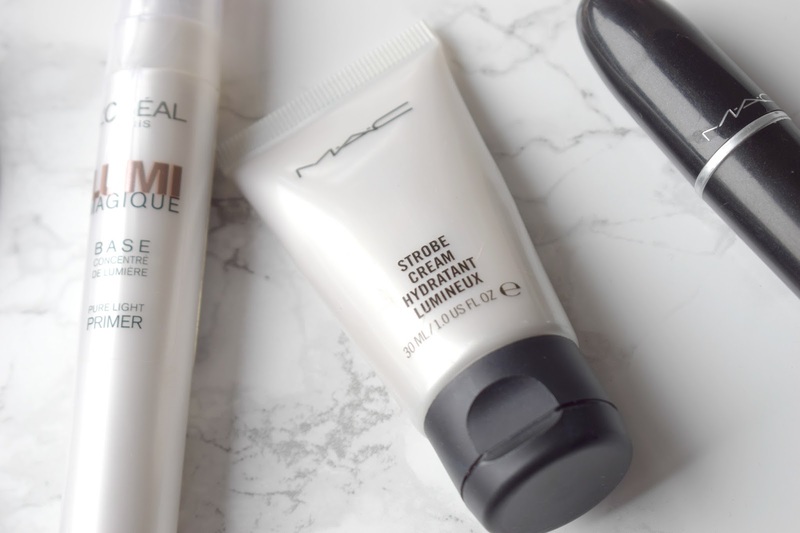 What is one Mac product you can't live without?